Did you get good mass from powerlifting for years?? Was any of your bodyparts under developed compered to the rest??? And did you get good quad development even thou powerlifting is so centered around glute, ham and lower back when doing leg exercises???? 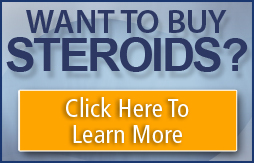 Did you take any roids while powerlifting? Last edited by Kärnfysikern; 03-20-2002 at 07:58 AM. After PLing for 2½ years I put on about 25 lbs of LBM and I am a hardgainer. I'll definately have heavy deadlifts and squats in my routines as long as I can do them. Last edited by Canes4Ever; 03-21-2002 at 05:27 PM. Any other former power lifter lurking here?? I have been powerlifting for 4+ years now. 3 years natural. I decided to go to the next level so now I am at the end of my second cycle of A-bombs and Test. IMO nothing puts on mass like powerlifting. I am hoping to compete in the light heavyweight div. I still have a little way to go but I am getting there. As far as having any underdeveloped areas I guess my abs would be the one. I don't do much abwork and I don't have a good lowfat diet so I can't complain. And if you want a set of monster quads start squatting heavy! i gained an awesome base from powerlifting, and thickness that most lack. but.... my outer delts where underdeveloped, so was my upper chest and calves. but, a few adjustments and everything came together. i trained naturally the entire time i powerlifted. went from 160lbs to 225 with nothing but a bunch of carbs.